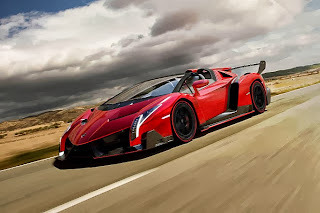 This year occurs the 50th anniversary of Lamborghini and the factory is celebrating it with several special models, such as the Aventador LP720-4 50th Anniversary, the Egoista and the Veneno. The factory keeps amazing us with their latest model which is confirmed to be built, the roofless version of the Veneno called Veneno Roadster! 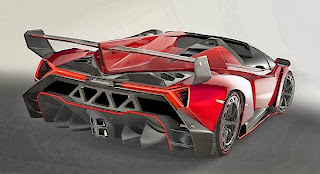 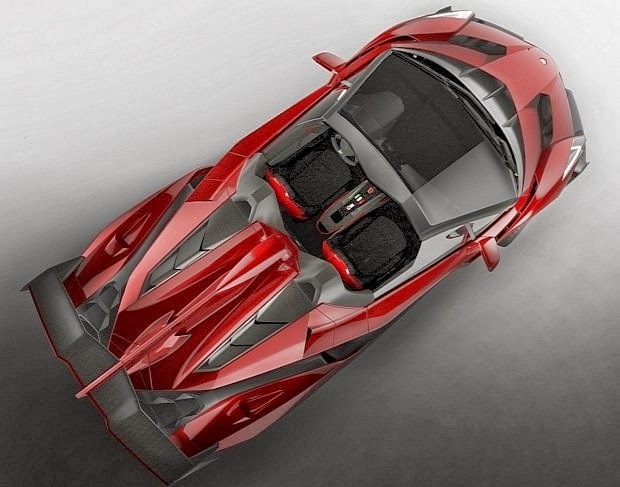 The Veneno drops the roof but its price tag increases of 300.000€ and just 9 of these will be built for a staggering figure of €3.3m (or $4.5m) plus taxes! The technical aspects of the Veneno Roadster are the same as the coupè, its heart is a massive 6.5L V12 which produces 750hp, enough to move from 0 to 100 kph in 2,9s with a top speed of 355 kph, and it sounds ferocious as it looks!